Fewer than 10% of tickets left for this event! Buy now to avoid disappointment! 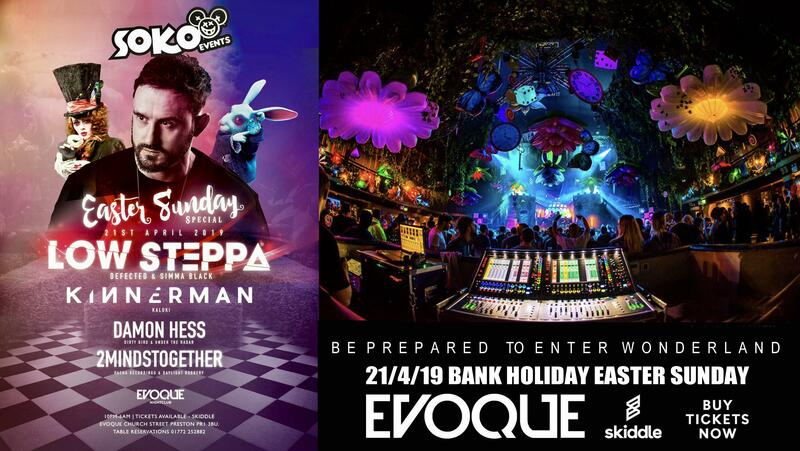 Defected resident [LOW STEPPA] Comes to Evoque Club Preston with support form ELROW [KINNERMAN] 21/4/19 Be prepared to enter [WONDERLAND] Full club transformation like you have never seen! !